Which belly is not real!?!?!? 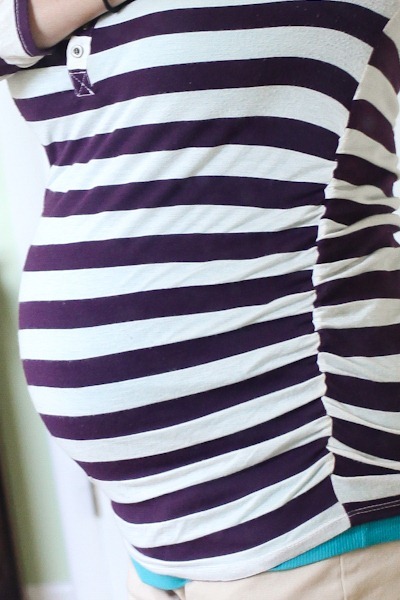 I caught up to the fake bump! Wow, I think you popped! You look SO good. 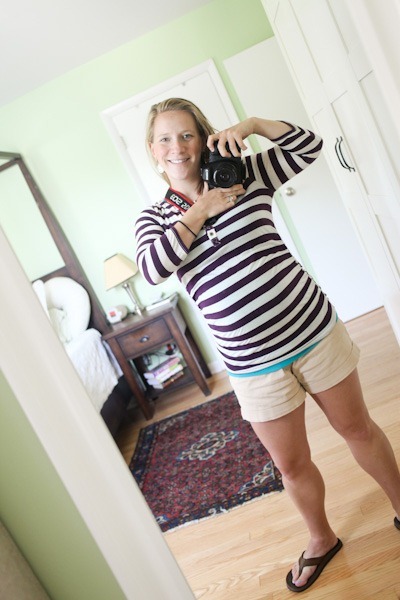 I am in love with stripes on a pregnant woman and you definitely know how to rock them. Wonder how much our babies weigh in our bellies at this point? I LOVE your shirt! 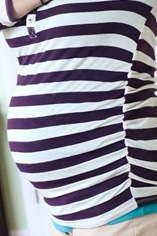 Just found out I was pregnant about 3 weeks ago… and i can’t wait to go shopping. That looks great on you! I love that shirt, too. You did pop, and and look amazing. PS how pretty are you without makeup on?! So jealous! Love it! 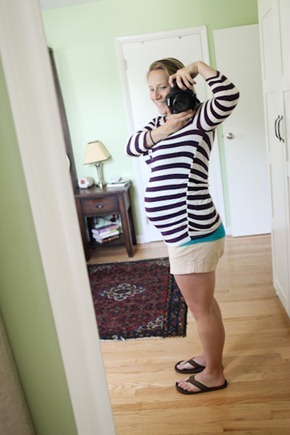 I can’t believe your bump is still so petite – lucky you 😉 Little Guy must be super cozy and tucked nice and tight in there! Now THAT is cool….wow, I remember that post and thinking how far off 31w sounded! 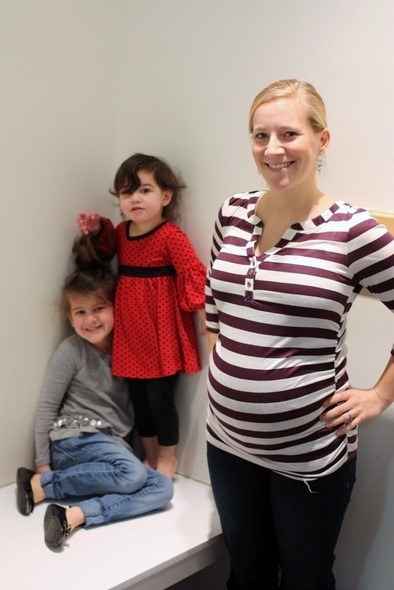 Enjoy these last weeks being pregnant! Having a baby is WONDERFUL, but pregnancy is just so incredible. I missed it once it was over. I love this! So funny! The bump is adorable! Love that shirt too! Ha! 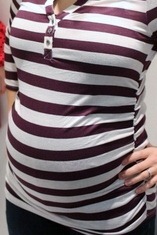 Seems just yesterday we were shopping and you put on the fake preg belly. And now it’s real baby! So exciting. Shirts with ruched sides were my favorite. And you can tell you are having a boy… you’re carrying a little basketball! So cute.